20th Century Fox screened some exciting new footage of their upcoming X-Men film, Dark Phoenix at New York Comic Con. The new film, which is the fourth in a series of prequel films that began with X-Men: First Class in 2011 and continued with X-Men: Days of Future Past in 2014 and X-Men: Apocalypse in 2016. The footage finds the NASA space shuttle Endeavor getting knocked off course in space. The President of the United States gives Professor X (James McAvoy) a call to receive the help of the X-Men. Hank McCoy/Beast (Nicholas Hoult) expresses doubt about the X-Jet traveling through space. The X-Men embark on this rescue mission led by Raven (Jennifer Lawrence). The X-Men are now in space, where Raven gives her team members directions on using their abilities to rescue the NASA crew. Cyclops (Tye Sheridan) uses a weapon that is specifically implemented on the X-Jet that allows his powers to blast the shuttle to prevent it from spinning further. Nightcrawler (Kodi Smit-McPhee) transports Quicksilver (Evan Peters) inside the shuttle to retrieve the crew. At the same time, Storm (Alexandra Shipp) is plugging ice holes into the hull of the shuttle. The X-Men are able to rescue the NASA team, but unfortunately their captain gets left behind. Professor X expresses concern that the team should leave no one behind, so Nightcrawler transports Jean back into the shuttle and rescues the captain before it’s too late. Sadly, Nightcrawler can’t get back to Jean before it’s too late. Jean is left behind in the shuttle as the solar flare hits it. She absorbs the energy from the solar flare as the X-Jet is hit by another solar flare. However, Jean is able to redirect the flare and even absorbs it. We then see a scene in which Professor X is in Cerebro as he feels Jean’s mind about the occurring events. We see that Jean absorbed all of the energy and Nightcrawler retrieves her and although the team presume that she has died, Jean is certainly alive. The team bring her home, where she is adamant that she’s okay. Professor X argues with Raven over whether or not saving more humans is worth the risks taken. Professor X claims that the mutants are “One bad day away” from being hunted down in society again as the team remains an important sign in the safety of mutants. Raven expresses to him that the women on the team are often saving the men of the team, and suggests that they should be known as the “X-Women”. Are you enticed by this footage description? 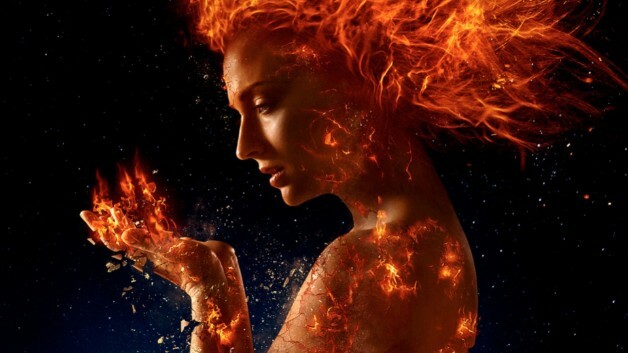 Do you think Dark Phoenix will shape up to be an exciting new addition to the beloved franchise? Sound off in the comments below, and be sure to continue following Heroic Hollywood for all the latest news.